Meditation has a laundry list of benefits. It reduces anxiety and depression while improving concentration, work productivity, relationships, and even addictive tendencies. But in our fast-paced, distraction-filled society, learning how to meditate can be intimidating. And for those of us with racing thoughts and anxiety, it can even seem out of reach. Luckily, a lesser known type of meditation called Osho dynamic meditation is the perfect form for those who want the benefits of meditation, but can’t sit still. Osho dynamic meditation is a revolutionary technique designed by a guru and spiritual teacher named Osho. Although Osho passed away in 1990, his techniques are still very popular within the meditation community. According to Anil Chandwani of the OSHO management team, the guru designed the meditations to help us move away from the mind center and move toward the heart center. “Our entire energy focus has shifted from the heart to the head so even during meditation our minds are running the show,” says Chandwani. Chandwani, who travels all over the world leading meditation sessions, says that Osho dynamic meditation is designed to remove the hindrances that keep you from being able to sit still and go deep in meditation. Osho dynamic meditation has five stages all of which empty out the body and mind. In the fourth stage, practitioners sit still and enjoy the energy they’ve cultivated. The first stage involves breathing deep and rapidly for 10 minutes. Close the eyes and allow the body to move freely, swaying and jumping. The purpose of the chaotic breathing stage is to release repressed emotions hidden deep in the body, says Chandwani. The body is also able to free up blockages. It’s all about throwing out the junk that you just brought up. It’s a form of catharsis. You can laugh or cry. In fact, you can even scream. All of the actions that aren’t necessarily allowed in traditional society are encouraged. It’s about detoxing yourself of the junk that you brought up in the first stage. Begin jumping up and chanting the mantra Hoo. This may seem silly and even ridiculous, but it actually has an important purpose. The vibration, contends Chandwani, works on energy deep in the body and starts to bring it upward. STOP! Freeze wherever you are, in whatever position you find yourself. Don’t arrange the body in any way. A cough, a movement, anything, will dissipate the energy flow and the effort will be lost. Be a witness to everything that is happening to you. Celebrate! With music, movement, and dance express whatever is there. Be mindful and enjoy the feeling of freedom. What Are the Benefits of Dynamic Meditation? According to Chandwani, you’re actively removing the burdens that keep your brain from being able to relax. In other meditations, the mind is in control, but in Osho dynamic meditation your heart plays a more profound role. “Meditation shouldn’t be about fighting with the mind,” he says. By finding a meditation that actually works for you, you’re better able to enjoy the benefits of being present for the life that you’re living. Instead of constantly being stuck in your head, you can let your heart lead the way. 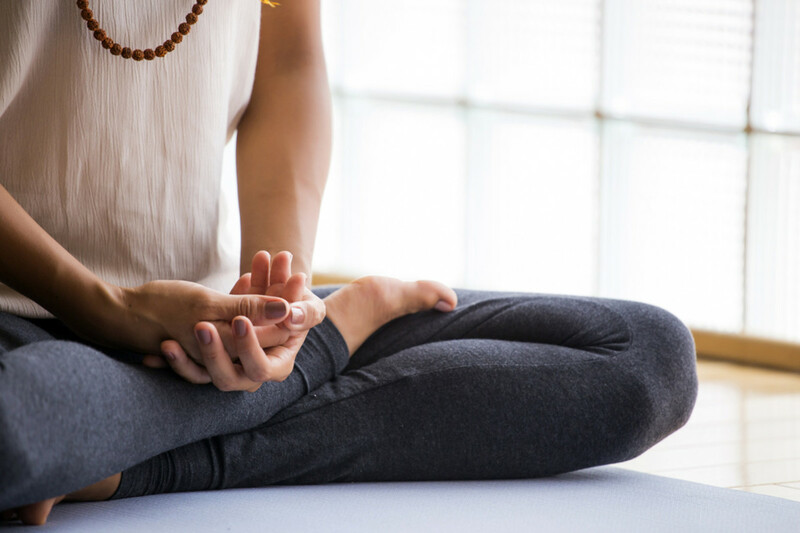 It should be mentioned that the original purpose of yoga, which is now most often practiced as a fitness routine, was to be able to sit still in meditation. And the purpose of this meditation is much the same. By shaking the restlessness out of the body through the practice or whatever mindful movement works for you, facing stillness doesn’t seem quite so far fetched. How Can I Start Dynamic Meditation? Osho dynamic meditation retreats go on all over the world and being in a group is a great way to be inspired and feel like you’re a part of something larger. There’s also a retreat center in Pune, India. But if a meditation retreat isn’t in the books for you right now, not to worry, you can establish your own practice at home by following an Osho video. It takes an hour of your time, and you never know, it could finally unlock the key to being able to meditate.